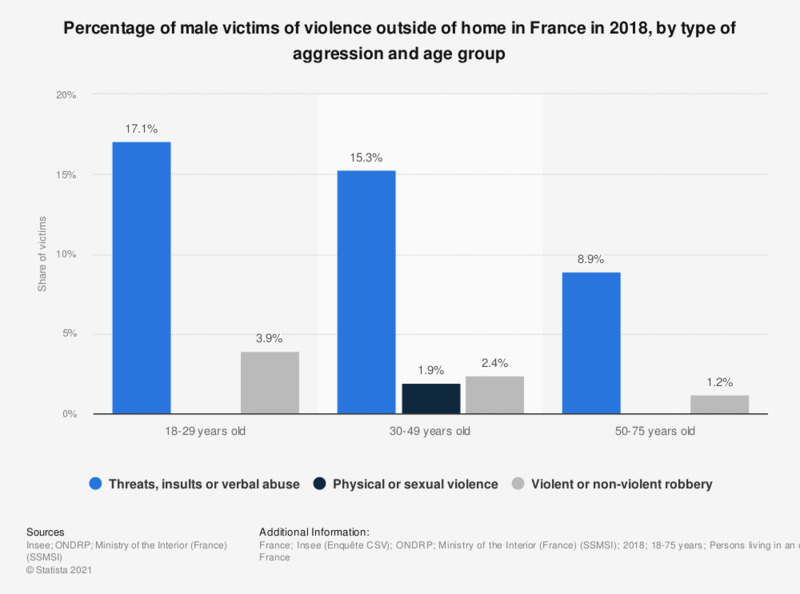 The statistic presents the percentage of male victims of violence outside home in France in 2018, by type of aggression and by age. It reveals that most of male victims were aged from 18 to 29 years old. 17.1 percent of them were victims of threats, insults or verbal abuse while 3.9 percent of male victims aged 18 to 29 years were robbed. For empty data the source adds the following information: "le nombre d'enquêtés concernés est sous le seuil de diffusion."